Happy Thursday, y'all! The week before Christmas, I had the chance to attend a VIP party at BohoBlu in downtown Greensboro. 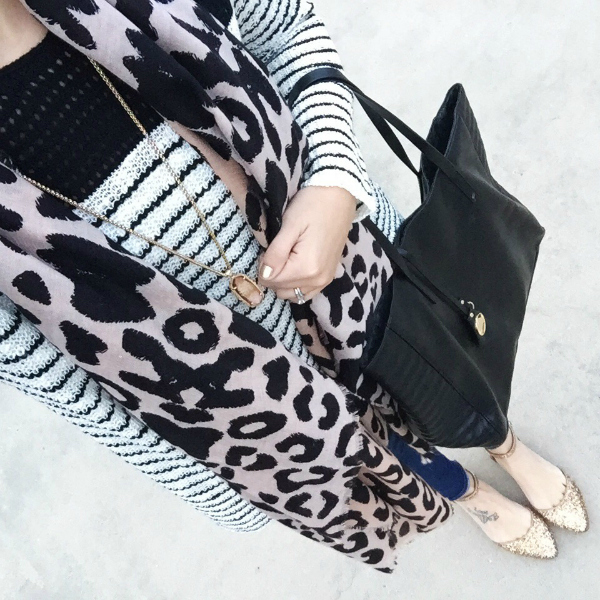 I have styled some gorgeous BohoBlu pieces on this post and this one! BohoBlu is one of my absolute favorite places to shop, not only because of the beautiful clothing and accessories but the experience. The amazing staff makes you feel so welcome and they are so helpful! They even offer personal styling appointments if you want some extra assistance finding the best style and fit. BohoBlu gives you the personal VIP experience at affordable prices! If you aren't a local girl, you can also shop online but they are available to answer your questions via their website as well. At the VIP party, I was truly treated as such! Yummy food, drinks, and the most amazing swag bag full of goodies to take home! 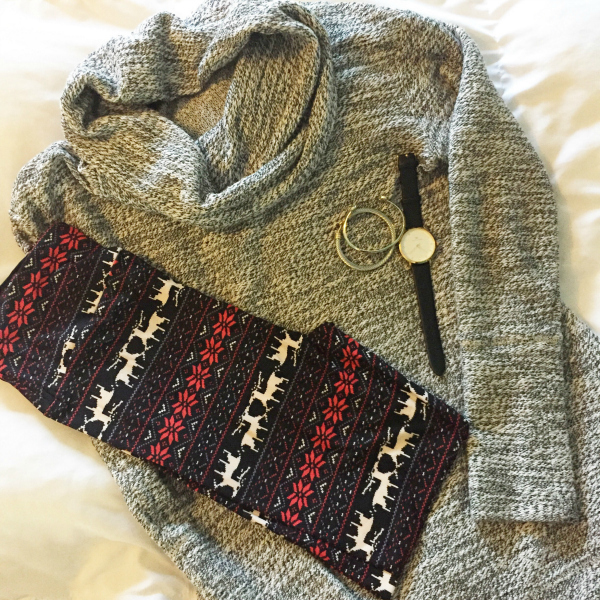 Inside of my bag I found the beautiful top that I am styling today, a gorgeous swing dress, a cozy blanket scarf, this amazing hand cream, a pretty bracelet, and comfy thermal leggings. I absolutely loved everything! I also had the chance to connect with other BohoBlu VIP, including Samantha from Life and Messy Hair! 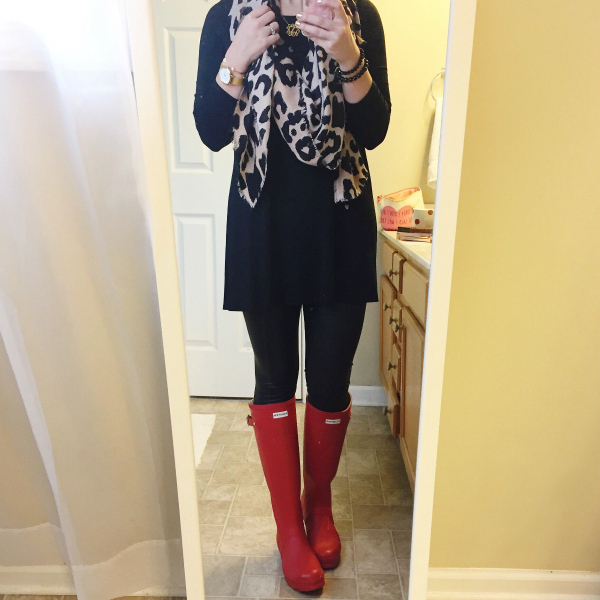 I styled this criss cross high low ruffle hem top with leggings, over the knee boots, a neutral bag, and simple accessories. 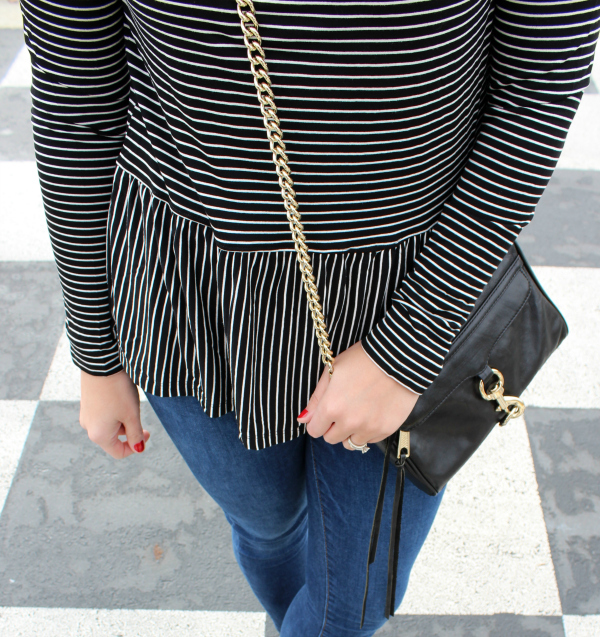 Isn't this top just gorgeous?! I actually do not own anything else in this color so I'm excited to add this greenish blue shade to my closet. Also, y'all know how I feel about ruffle hems. 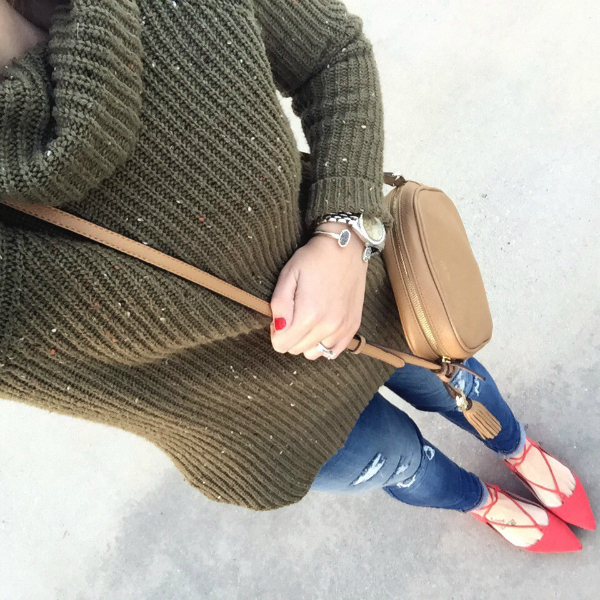 They add the perfect feminine touch to any top and I can't get enough of them! Hey y'all and Happy Wednesday! I hope you are either enjoying a super short work week or no work week at all! Thankfully, my job follows the school system schedule and I have a the rest of this week off. I so needed these extra days to relax and catch on all of the things that I have been behind on. Unfortunately, I have also wasted an embarrassing amount of time on the Snapchat filters. They are just too fun! Which one is your current favorite?! I love always loving the puppy and deer. 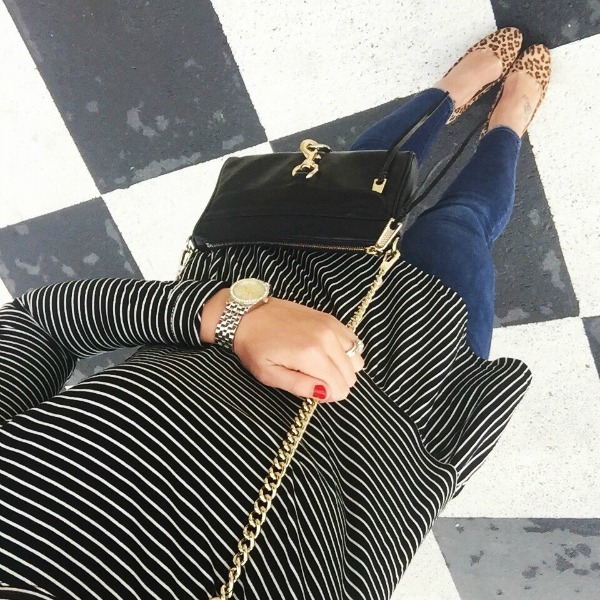 Today, I am rounding up some recent Instagram post from last week. You can also always shop anything from my Instagram feed by using the SHOP page here on my blog. It's super easy and you don't have to sign up for any kind of e-mails or anything to get the direct links. 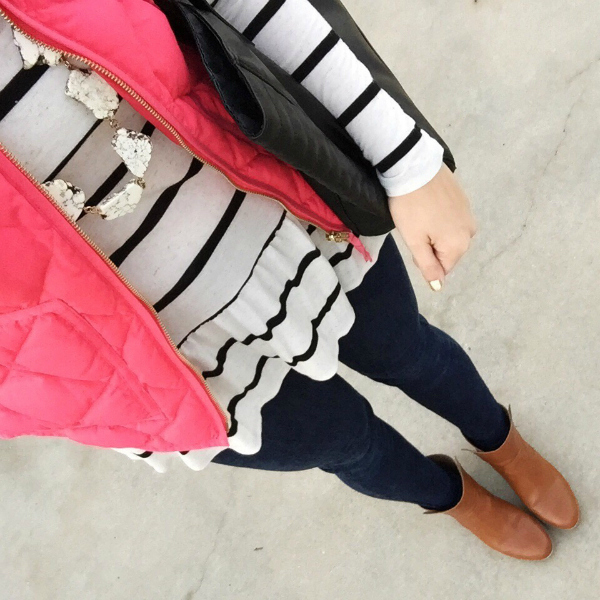 This week's roundup consists of a good mixture of comfort and festivity! 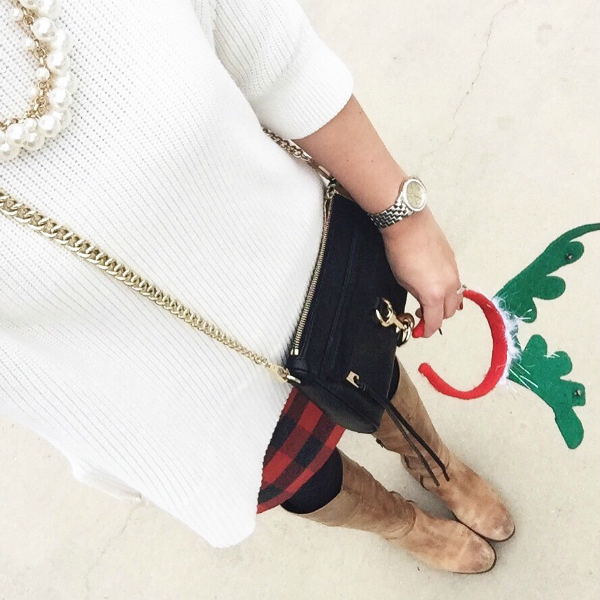 I pulled out lots of red + green, plaid, cozy sweatshirts, and leggings last week in preparation for Christmas. 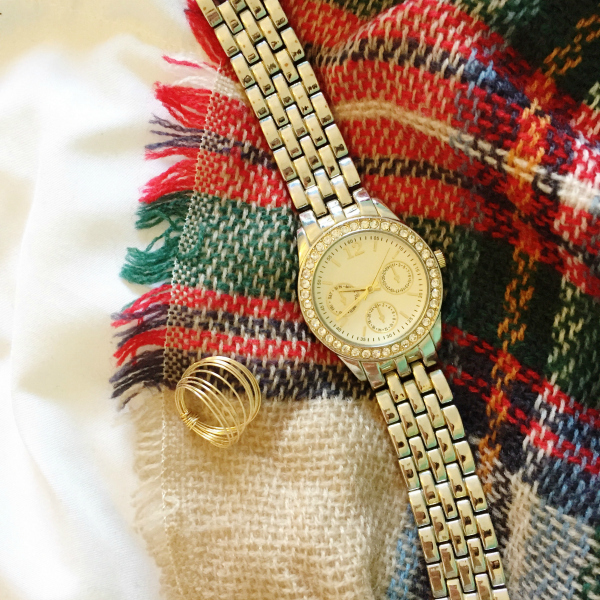 This week, I am all about the sparkle as we gear up to celebrate a New Year! Happy Friday! I think this is an even happier Friday than normal. Tomorrow is Christmas Eve! I love Christmastime and I love it even more now than I am a parent. I love seeing the joy and excitement on my daughters' faces! Tonight, we are planning to go out to dinner and then visit festively lit up neighborhoods in the Greensboro area. The girls love driving around, listening to Christmas music, and looking at the pretty lights! 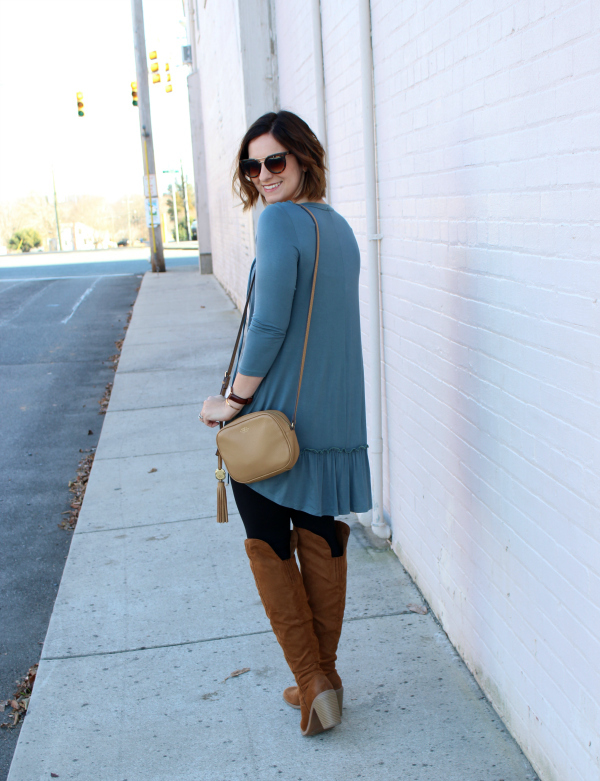 Today, I am sharing my weekly edition of what I am currently loving. 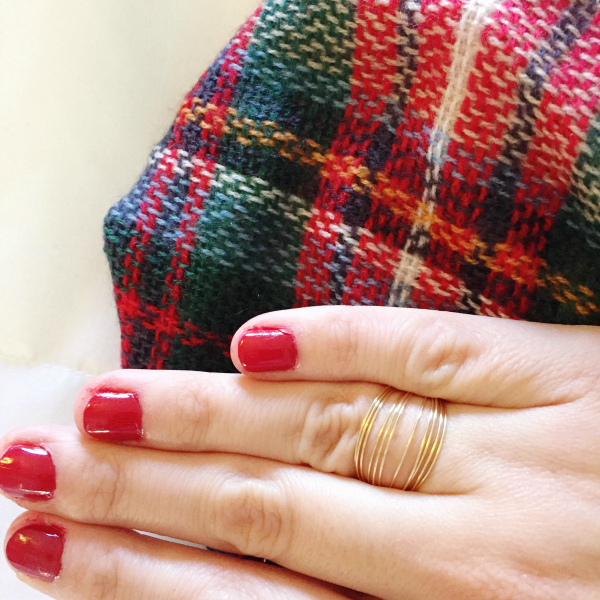 Now that you have shopped for everyone else on your list, it's time to treat yourself! A gift to you from you. Which of my favorites do you love the most?! Read below to find out which item is at the very top of my personal wish list. 1. 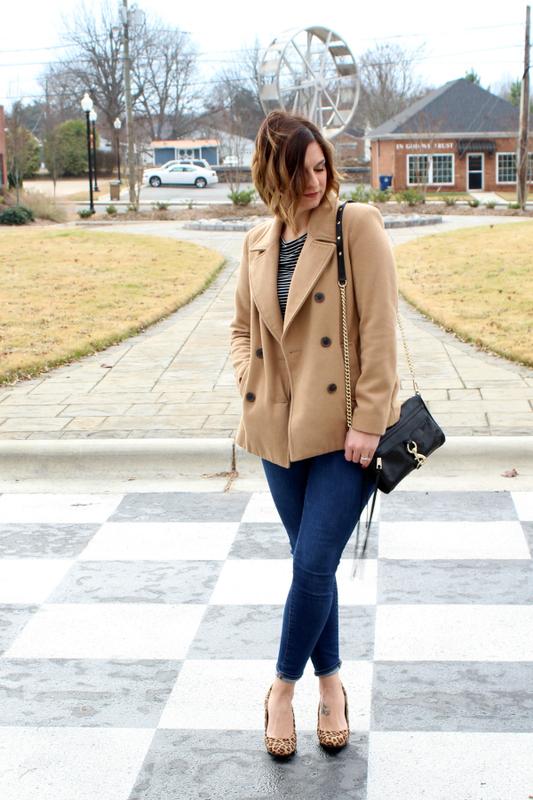 Leopard Lace Up Flats | I love all things leopard and these flats are no exception! I love the lace up detail and the print is perfect. Gimme these shoes! 2. 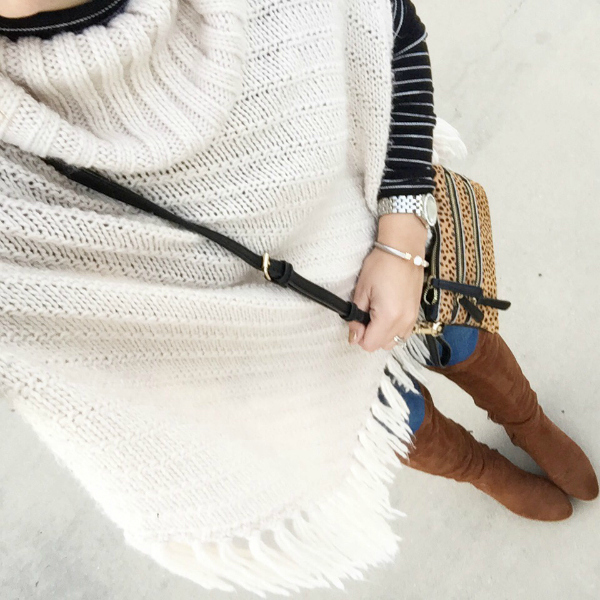 Knit Poncho | I have a poncho just like this one but from last season and it's one of my favorite winter pieces in my closet! 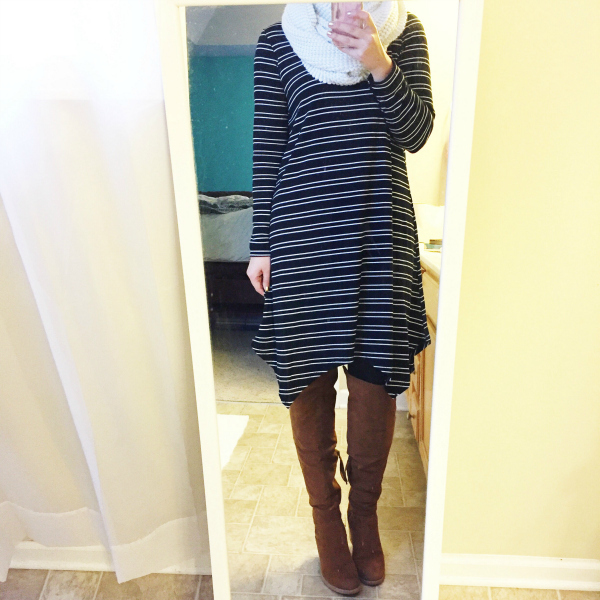 It add the perfect cozy layer and looks great with a striped turtleneck top. 3. Earring Set | Don't these earrings look just like the Kate Spade version?! Well, they are pretty much identical but this set is less than ten dollars for two pairs of pretty earrings! Pink and gold glitter... yes, please! 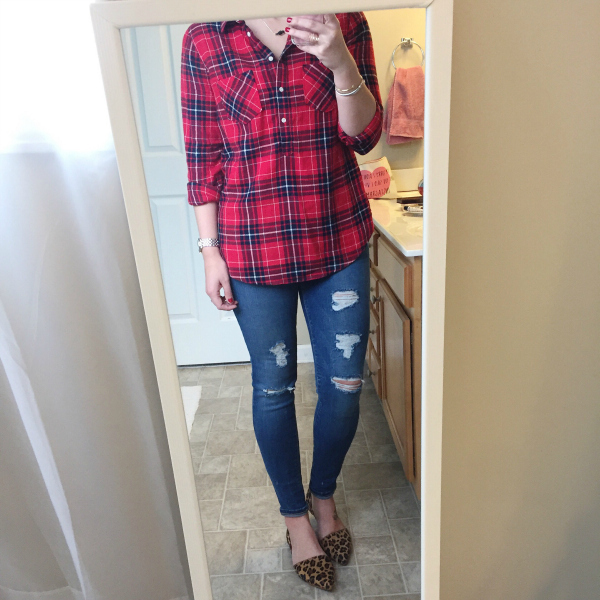 I love a good look for less find! 4. 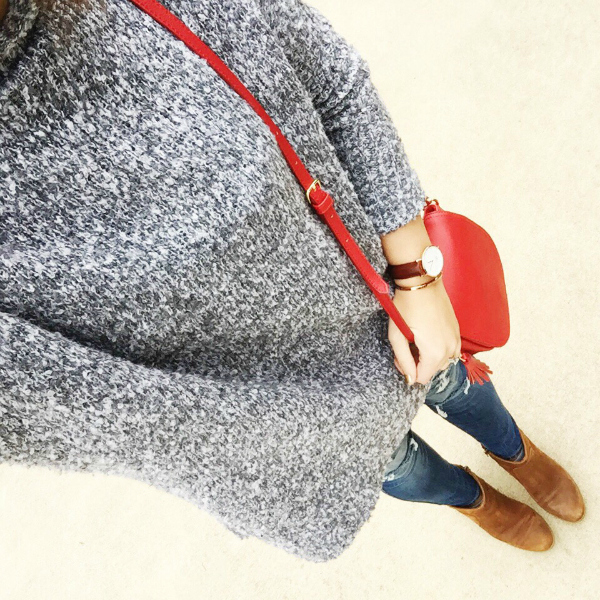 Cowl Neck Sweater | This cozy sweater is so cute! I own a super similar one that I styled yesterday. You can see how I styled it on this page. 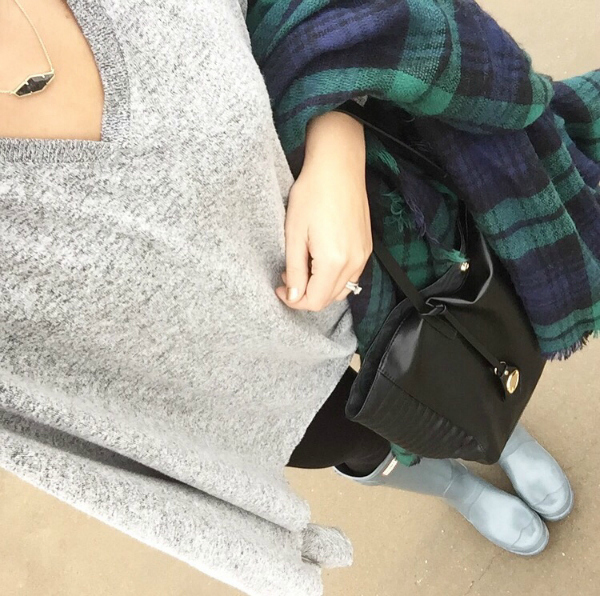 I love the oversized fit plus it's under $30! 5. 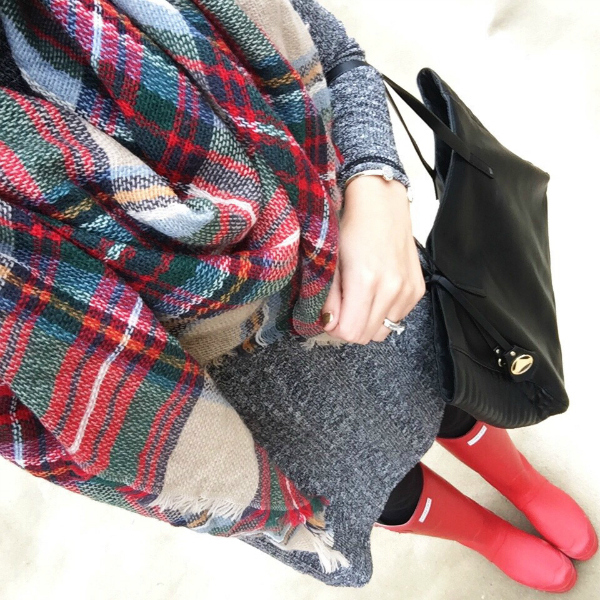 Plaid Scarf | I love scarves, especially plaid scarves. 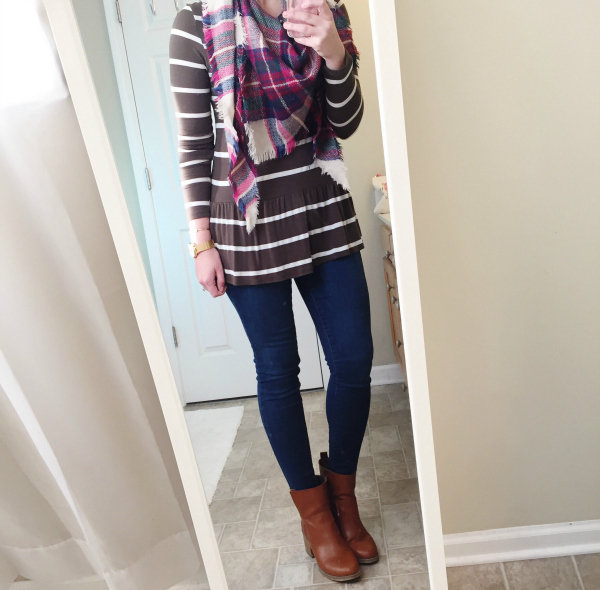 I own several scarves in this brand and they are my favorite! The white and black will match almost everything. 6. 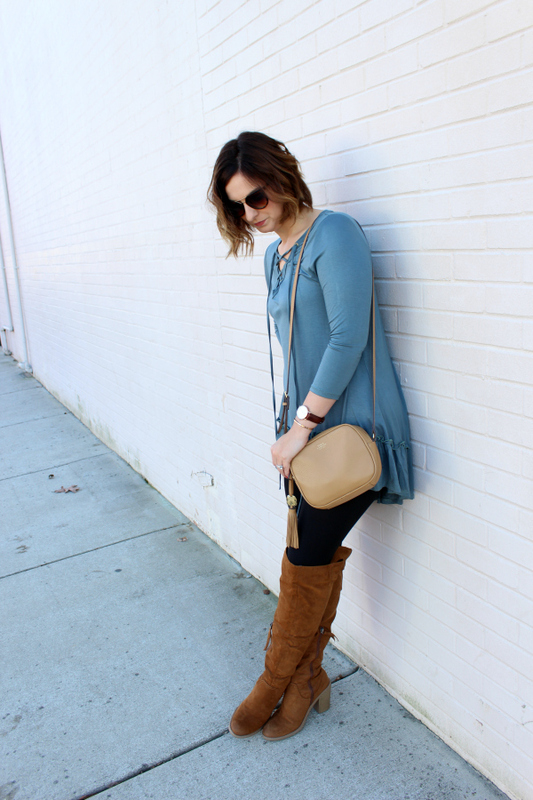 Rose Gold Bag | Out of all of my favorites this week, this bag is hands down my absolute most favorite item! The rose gold color is amazing and I love the tassel detail. 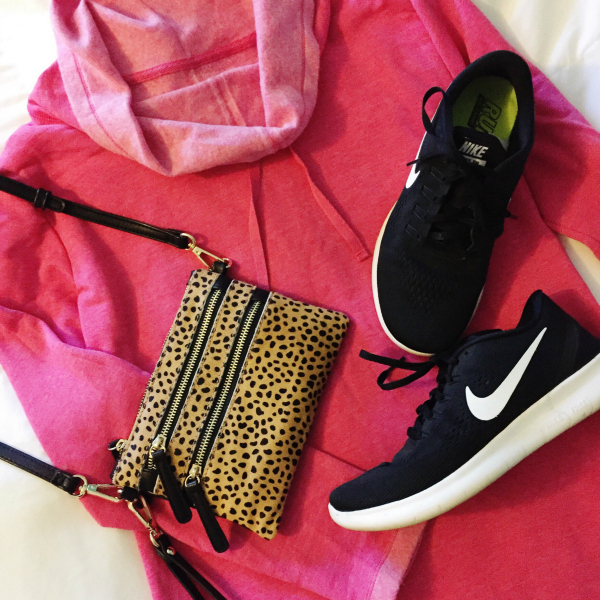 This bag is at the top of my wish list! 7. 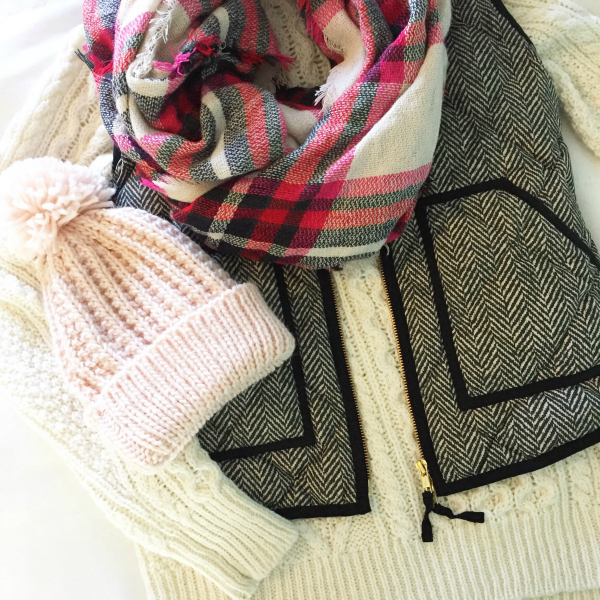 Blush Sweater | My eyes are just drawn to cozy cable knit sweaters right now! I am loving this pretty blush one that's a steal for about $25. I can't get it into my shopping cart fast enough! 8. Pave Ring | This gorgeous double crossed pave ring is so pretty! It's only $12 and makes a statement. I need to add it to my jewelry box! Merry Christmas, y'all! I hope you have a wonderful holiday with the ones you love! Cherish Uganda is an organization actively changing the story of children living with HIV/AIDS in Uganda. They are working to enrich the lives of these children spiritually, physically and educationally. Their newest development,Cherish High School, is the first high school in the world to focus on enrolling and empowering teens with HIV. Go Rings is supporting Cherish High School by donating 25% of all sales during November and December. These funds pay tuition for HIV- affected teens in Uganda. The cost is $750 per student, which covers housing, meals, supplies, and teachers’ salaries for an entire school year. We’re aiming to send at least 7 students to Cherish High School in 2017! 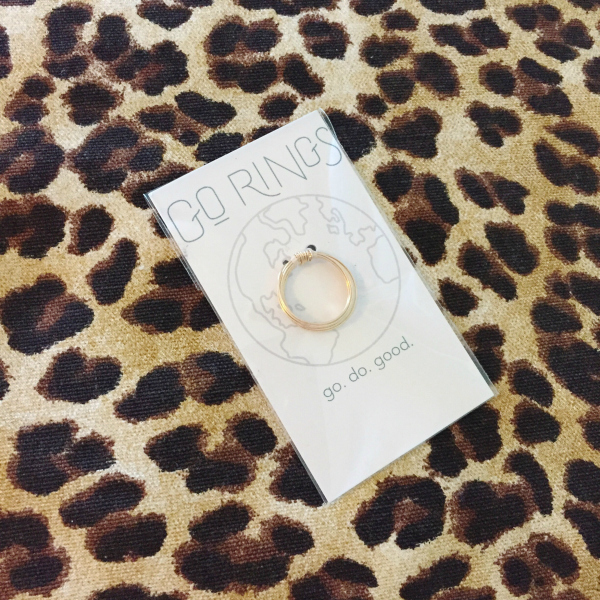 Go Rings sent me the 14K Gold Go Ring to share and style for y'all. 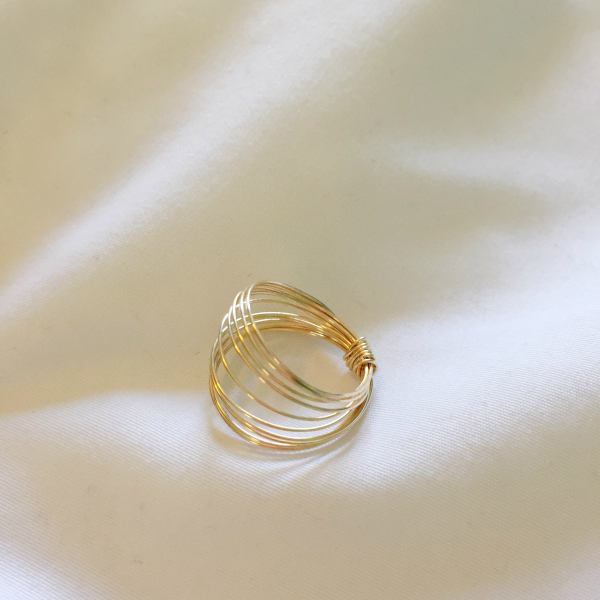 I love the simplicity of the design of this ring and it's also very comfortable to wear. 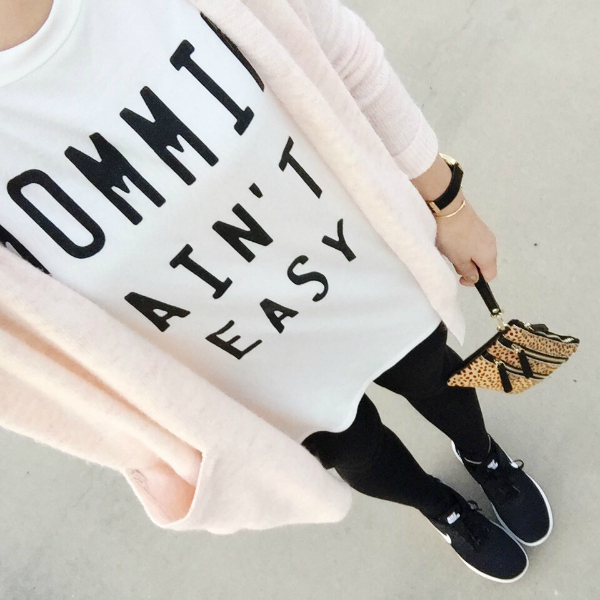 It's so well-made and can be worn in a variety of ways! You can see in the photos below that it can be turned either way for two different looks. You could also size up in your Go Ring to wear on your thumb. 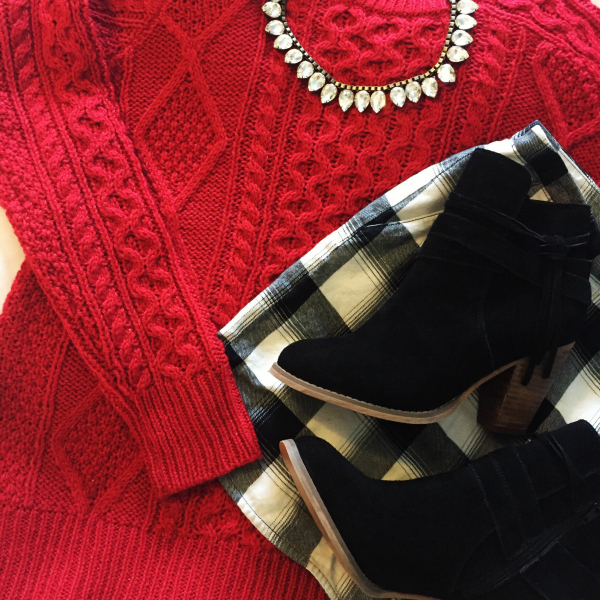 It's a classic and versatile piece that you'll want to wear everyday! 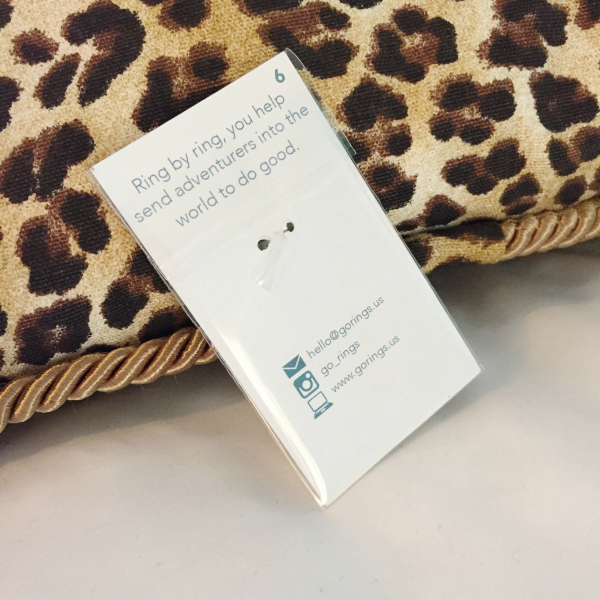 You can help Go Rings make a world of difference—ring by ring. Happy Wednesday! The countdown is Christmas is on! 4 days! With a six year old and four year old in the house, the level of excitement is quite high! They love getting gifts (of course) but more importantly, they are understanding more this year about the true meaning of this season. I'm thrilled to see them excited to serve others and spread joy because that's what it's all about. Love God, love people. We are are all looking forward to time with family and friends, the candlelight service at church, baking cookies for Santa, and getting to slow down for a few days. Today, I am sharing a roundup of pictures from my Instagram feed. 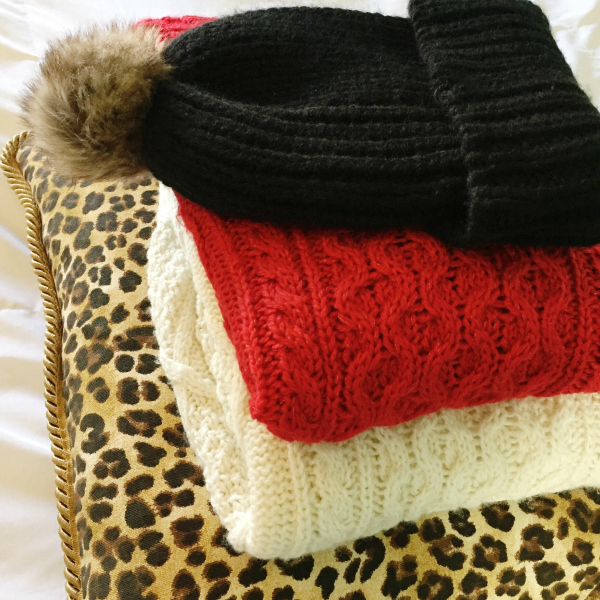 I have been trying to throw festive pops into my outfits as well as my daughters' outfits. I have just as much fun (if not more) styling my girls! My oldest is already a fashionista and her biggest request to Santa was a pair of high heels. The apple definitely doesn't fall far from the tree. You can shop my tops, bottoms, accessories, and shoes at the bottom of this post or each photo using the shop page. Let me know if you have any questions about sizing, fit, texture, quality, etc. of any of the items. Have a great day, y'all! 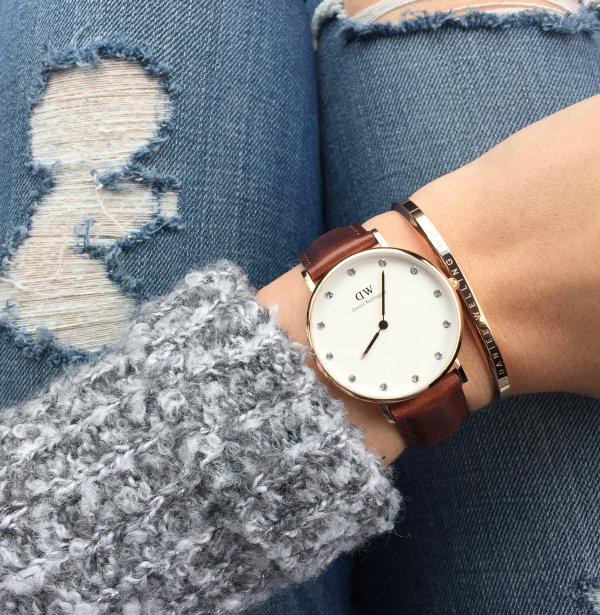 Watch + Cuff c/o Daniel Wellington | Save 15% off with code SOTO15. 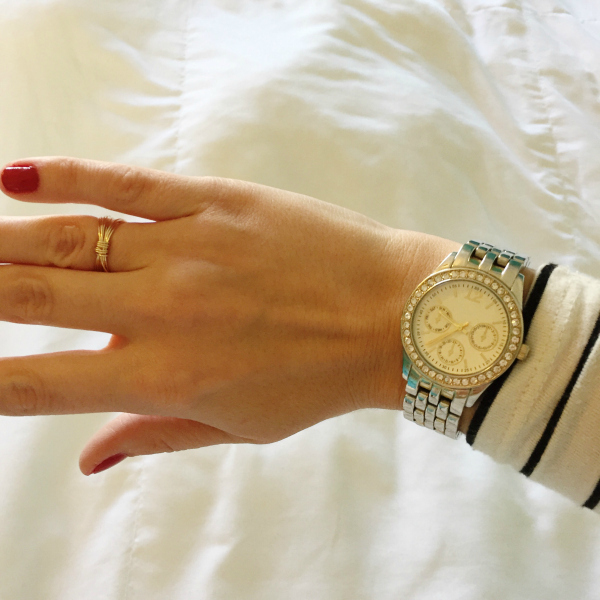 Watch c/o Wristology | Save 10% off with code emilysoto10.